Late in January, J.K. Rowling revealed the names and some interesting facts about other magical schools around the world. 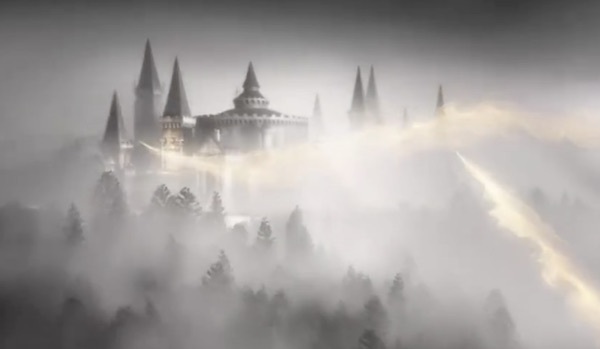 But when it came to the North American version of Hogwarts, all we received was a name and a general location, with the promise that more information about this corner of the Harry Potter universe was coming soon. Fans eager to learn more details about magic in North America will get their wish this week, as new writings will be arriving. Four stories comprise this Magic in North America series, which will arrive online this week. The announcement comes to us from Pottermore, and that’s where we'll be able to read all four new writings from J.K. Rowling. The first of the four installments is called History of Magic in North America, and it’ll hit Pottermore on Tuesday (March 8) at 2 p.m. GMT. That’s 9 a.m., for those of you on Eastern time. Ilvermorny, Skinwalkers, the witch trials, and the magical Congress of the United States of America. These aren’t myths, for the history of America is more amazing than you could ever imagine. Everything you think you know is about to change. Ok then. Sold. I’m ready. Is it time yet? The trailer mentions the North American school, Ilvermorny, which we already know is the name of the wizarding school in North America. And there’s talk of “skin walkers,” as well as the witch trials, not to mention the Magical Congress of the United States, which we’ve also heard of before. American fans of Harry Potter have always been curious about how magic works stateside. With Fantastic Beasts and Where To Find Them set to take place in New York City in the 1920s, we’re anticipating new facts and exciting tidbits about J.K. Rowling’s magical world. So Pottermore’s additions seem perfectly timed to whet our appetite for our return to the Harry Potter cinematic universe. What will we learn from the first piece of writing? We’ll find out tomorrow morning. In the meantime, get the latest on Fantastic Beasts and Where To Find Them here.